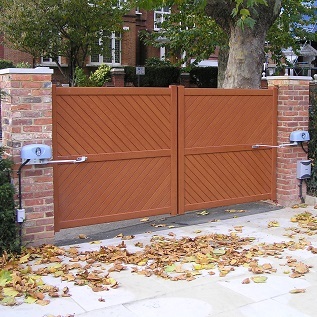 Why are aluminium gates perfect for gate automation? Aluminium gates are strong, beautiful and free from rot or rust. 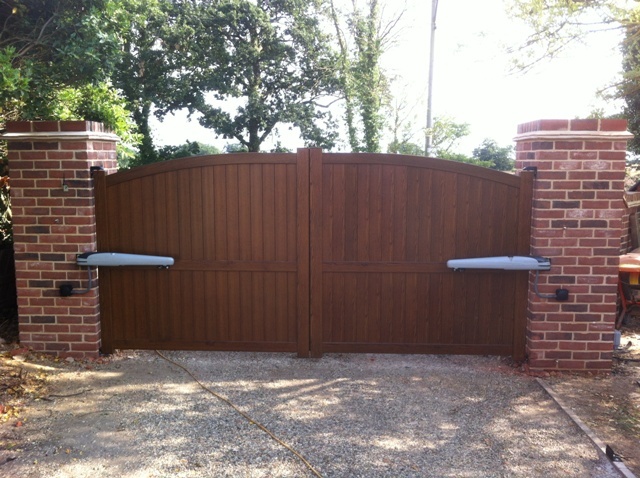 Aluminium gates benefit from a wide variety of finishes including single colours and various stunning wood effects. 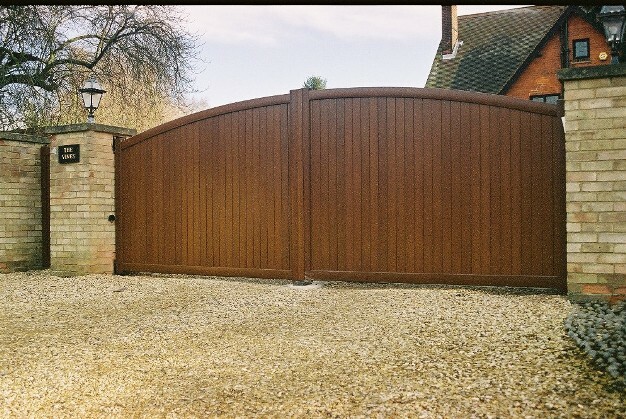 So why not look at the best alternative to traditional gate materials that will be a similar cost, look as good, be cheaper to run and need almost no maintenance? Why Choose Aluminium For Your Automated Gates? 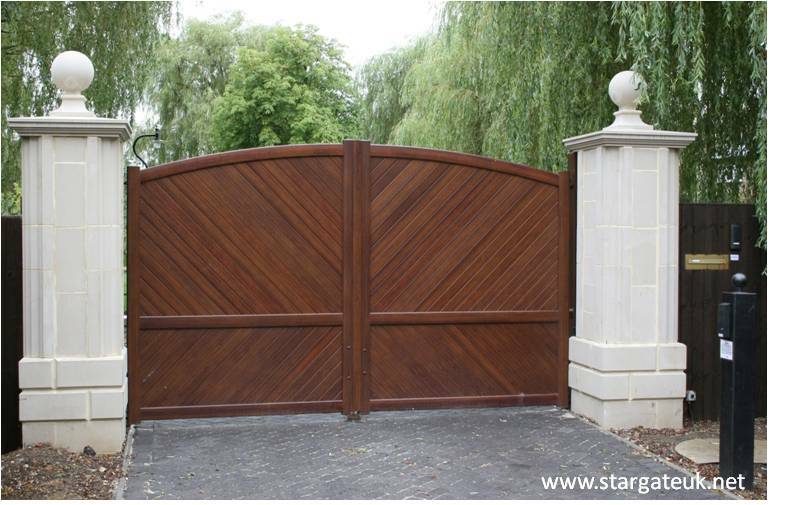 Aluminium can easily be cut and formed to look just like stylish wooden or steel gates. Finished with a surface coating, various full grain wood looks and steel and iron finishes can be produced as well as a range of simple, RAL smooth surfaces. Aluminium gates will also not rust, rot, twist or warp and only require periodic wiping down with water to maintain their beauty. Aluminium gates from Linkcare are supplied with a surface coating that provides the finished design and look of your chosen gates but also gives them an incredibly tough protective layer. These finishes all meet the strict requirements of the Qualicoat quality standard for aluminium coatings. As a result, Linkcare’s aluminium gates come with a 10 year guarantee. Aluminium is light and this means that less force from your gate motors is required to open and close the gates making them safer and more economical. Aluminium alloys are light and strong and will be stronger than steel or wood gates with the same weight. This means they also don't need hinges and locks capable of dealing with heavier gates. Based on longevity, low maintenance and purchase price, aluminium gates provide one of the best value gate materials available. Unlike aluminium, wood needs frequent attention to maintain its natural good looks. 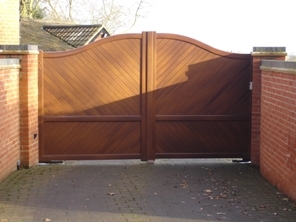 On a regular basis, wooden gates must have the old, flaking finishes removed and new varnishes, preservatives or paint applied. Wood can also twist, split, rot and warp which can make it difficult to open or close your gates. Generally, iron and steel fixings are also used on wooden gates and these need to be oiled or greased to ensure they move freely and any rust treated with suitable rust inhibitors. New paint is often applied at the same time. The often intricate designs of steel and iron gates makes them very difficult to keep clean and looking their best. Compared with aluminium, steel and iron also add significant weight to a gate so much stronger fittings are required in their installation. When automating heavier gates, more powerful motors are required which use more electricity. The light weight of automated aluminium gates also makes them safer as lower forces are required to open and close them.